As a recent university graduate and new member of Ireland’s massive 14% + unemployed club, I have been eagerly scouring the internet looking for work. Of course this task was never going to be easy with over 400,000 others on the dole queues, but the task is not being made any easier by the government’s promotion of free labour for employers through the normalisation of internship schemes. A cursory glance over any jobs website with show that many companies are no longer hiring for real jobs and it is only internships on offer. I mean one can't blame the companies can they? If you run a for-profit business and there is free labour on offer, you would be mad not to take advantage of it. When did internships come about? It is difficult to pinpoint when exactly the concept of internships emerged, although it has been suggested to me that they have been prevalent in the United States for a long time and it is likely that this is where the idea came from. On this side of the Atlantic the phenomenon is relatively new and was not the norm except for specialist (white-collar) work where pre-job training and close supervision was required. However, since the onset of the Global Financial Crisis the number of internships on offer has grown massively. No longer are these internships in specialised (white-collar) work environments, but it now seems that any and every type of work requires the worker to have completed 6-9 months of free labour before they would be considered for a position. Access newly trained interns with recent skills sets or skilled workers that add real value to your organisation. This all seems legit and wonderful, a win-win situation one might say. I mean who doesn't want to give opportunities to unemployed people, to enhance the performance of their organisation and to bring in fresh talent, fresh ideas and new thinking? What is the catch one might ask? Well, there isn't one. It’s free! The logic of for-profit businesses. 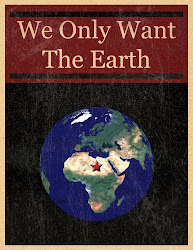 The logic for businesses under the capitalist system is to make as much profit as possible. This profit is produced when workers produce or provide a good or service for an employer. The employer pays the worker less than value of that particular good or service and then sells the good or service onto a consumer. It is the difference between what the employer pays the worker for the good or service and what the employer sells that good or service for that is the profit(minus production costs). Now if an employer can pay an employee as little as possible (i.e. the minimum wage), they can make more profits. If that employer can hire an ‘intern’ to work for nothing then that employer makes absolute profit. It therefore logically follows that the concept of internships are a capitalist construct, dressed up in the fancy terminology of reciprocity and designed to increase profitability for businesses. 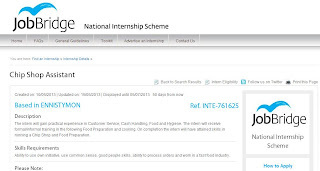 The reality of internship schemes is far removed from the ideals of reciprocity between the intern and employer that scams such as JobBridge promote. The reality is that most employers use interns for the free labour and not for altruistic purposes. The reality is that many interns do not receive adequate training and supervision to further their skills. The reality is that most interns do not receive job offers from the employers after their 6/9 months internship. The reality of schemes like JobBridge is that they are state sanctioned slave labour. JobBridge and other internship schemes are illogical from the point of view of governments and individuals, and logical only from the perspective of businesses. The majority of intern positions are created to fill a gap in a company’s workforce that would otherwise be filled by a paid employee. So by effectively promoting a National Internship Scheme, the Irish government is actually reducing the amount of real jobs being created in the economy and have contributed to the normalisation of the concept of internships for every type of job. This is why now when one looks at a jobs vacancy website, there is an abundance of intern positions on offer yet few real jobs that pay a wage. 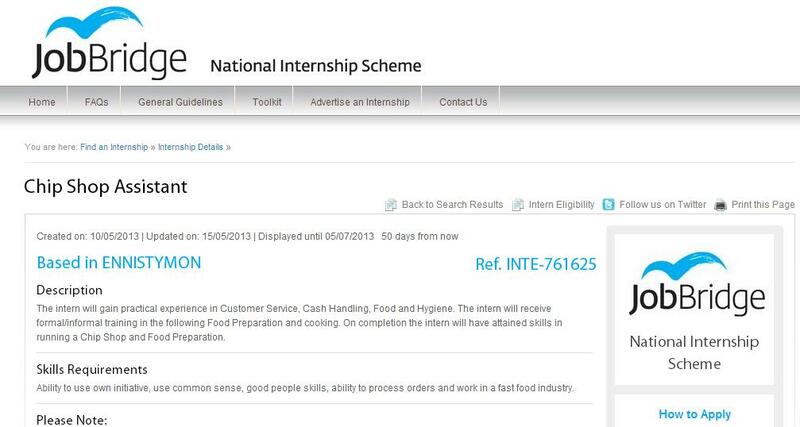 This is the reason why internships are now being advertised on the JobBridge website for positions such as Chip Shop Assistant, Car Valet, Seamstress, Off-Licence Sales Assistant, Rent-A-Bike Assistant and Fish Filleter. There are many, many more positions of a similar nature that are purely free labour scams. These are not positions which require 6/9 months of training and experience. They would take a week of training at most to equip a person with enough experience to work in one of these jobs. The government must stop the promotion of free labour explotation. JobBridge is stopping real job creation and encouraging the exodus of young people from our shores. If an internship is all that is on offer to me after my years in university, I will be forced to join the exodus myself.